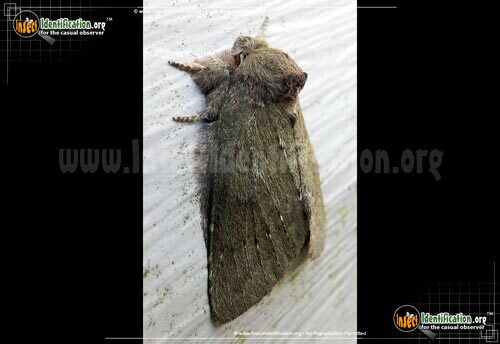 Detailing the physical features, habits, territorial reach and other identifying qualities of the Saddled Prominent Moth. 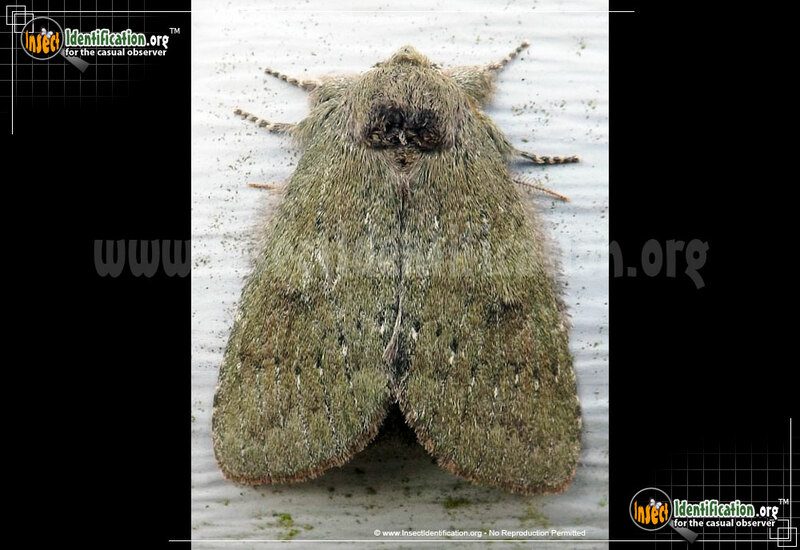 A grayish green hairs on the wings of the Saddled Prominent help camouflage this moth on the trunks of a variety of deciduous trees. The gray-green hues of some individuals, or the brown-gray shades of other Saddled Prominent Moths allow it to better blend in with its forest habitat. Active throughout the summer, up to two broods can be produced which can stress host trees. Adult Saddled Prominents are first active in late spring/early summer when they immediately get to work on reproducing. They are nocturnal and egg-laying is done at night. Females can lay hundreds of fertilized eggs on the higher leaves of maple, oak, sumac, witchhazel, and apple trees. Caterpillars are fleshy and green or yellow with brown markings at the middle of the body, where one would see the saddle on a horse. These hungry caterpillars can defoliate a tree, leaving only the skeletons of leaves behind. Fortunately, despite the large number of mouths, many trees can withstand the foliage loss. Sustained feeding may diminish sap production, a concern for maple syrup harvesters. After one to three years, local birds and other insects eat them and wasps parasitize them, creating a biological control that stems outright devastation.